Concacaf general secretary Chuck Blazer, who made bribery allegations against Fifa, appears to have survived an attempt to sack him. Lisle Austin, the acting president of Concacaf, had sent Blazer a letter saying he was "terminated as general secretary with immediate effect". But Concacaf's executive committee has said the sacking was "unauthorised". Concacaf is the continental governing body for football in North America, Central America and the Caribbean. In a statement issued in New York, Concacaf said Austin does not have the authority to fire Blazer, the whistleblower who sparked the Fifa corruption row. "Today, an unauthorised declaration was made by Lisle Austin attempting to remove Chuck Blazer as general secretary of Concacaf," the statement said. "This attempted action was taken without any authority. Under the Concacaf statutes, jurisdiction over the general secretary rests solely with the executive committee which has taken no action. 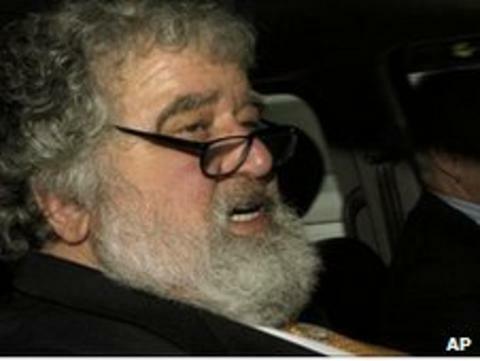 "Chuck Blazer continues as Concacaf general secretary and with the full authority of his office." Blazer, an American who is also a member of Fifa's executive committee, accused fellow executives Jack Warner and Mohamed bin Hammam of bribery last Thursday. The pair were temporarily suspended, a move that effectively ended Bin Hammam's bid to challenge Sepp Blatter for the Fifa presidency. Blazer subsequently reported Warner for breaching the terms of his suspension by urging Caribbean Football Union (CFU) members to vote for incumbent Blatter in Wednesday's Fifa presidential elections. "We have clear evidence of a violation of his suspension and we have reported that to the Fifa secretary general," said Blazer of Warner's actions. "He has also been meeting with Concacaf members, which is against the rules of the suspension." Austin, who is standing in for the suspended Warner, said Blazer's conduct was "inexcusable and a gross misconduct of duty and judgment". He also said that the American was no longer fit to hold the post. Blazer originally accused Warner and Bin Hammam of offering financial incentives to CFU members, which led to the pair being banned. The payments were allegedly made to secure votes for Bin Hammam in his campaign to challenge Blatter for the presidency. Bin Hammam pulled out of the presidential race on 29 May but Fifa's ethics committee subsequently suspended both him and Warner, leaving Blatter to stand unopposed for the presidency. Bin Hamman, a Qatari, is appealing against his suspension, claiming it was a deliberate plot to influence the outcome of the elections, while Warner said his ban was "the worst form of justice by any sporting organisation". Warner also accused Blatter of making a gifts to Concacaf officials but is now backing the 75-year-old Swiss for the Fifa presidency. In a letter, Warner asked CFU members to "desist from initiating any protest action at Wednesday's Fifa Congress". He continued: "At our last meeting, we agreed as a union to support the incumbent Joseph Sepp Blatter in his quest to regain the presidency. "I wish to assure you nothing has changed - our mandate was set then and despite it all we must fulfil it. "The battles I have fought over the last week are my burdens to bear; my shoulders are broad and skin is insulated to the verbal attacks I am subjected to daily." The English and Scottish football associations have both called for Fifa to postpone Wednesday's presidential election. The English FA has already announced that it is abstaining from the voting in the Fifa presidency elections.